On this episode, Jereshia focuses on a common pain point that she sees a lot of people struggling with, which is attracting and converting their ideal client. Discover why Jereshia disagrees with the umbrella idea of creating your ideal client. 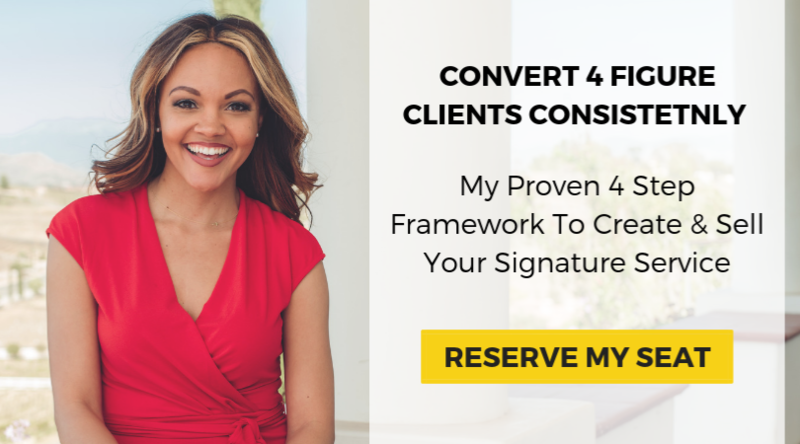 Jereshia breaks down the POP Method she uses in her signature service and with her coaching clients to create an ideal client profile. By Picking ONE Person, Picking ONE Problem, Packaging ONE Process and focusing on simplifying your strategy will help you tremendously. Learn what you need to be asking and what you need to be doing in order to make it easy for someone to purchase your service. Doing MORE is not the answer, creating more content may be a waste of time, and more traffic doesn’t necessarily mean you will be converting more sales. The more clarity you provide for your ideal clients, the easier it will be for you to sustain your business with the right people, consistently. Get ready to flip the funnel and implement the POP Method to attract your high paying ideal clients after tuning in to this episode of JereshiaSAID! This episode was brought to you by my premium program Services that Sell. If you’ve been thinking about niching down and creating a four-figure service that you can sell consistently. And if you have been searching for a simple way to sell your services without a complicated funnel, I encourage you to sign up for my FREE master class at jereshiahawk.com/masterclass. I’ll make sure you know everything you need to gain the clarity you crave to confidently sell your services online.